Make your Brompton lighter with Ti Parts Workshop titanium components. This 1/2 Speed Titanium Rear Axle saves approximately 16.6g over the original Brompton component. 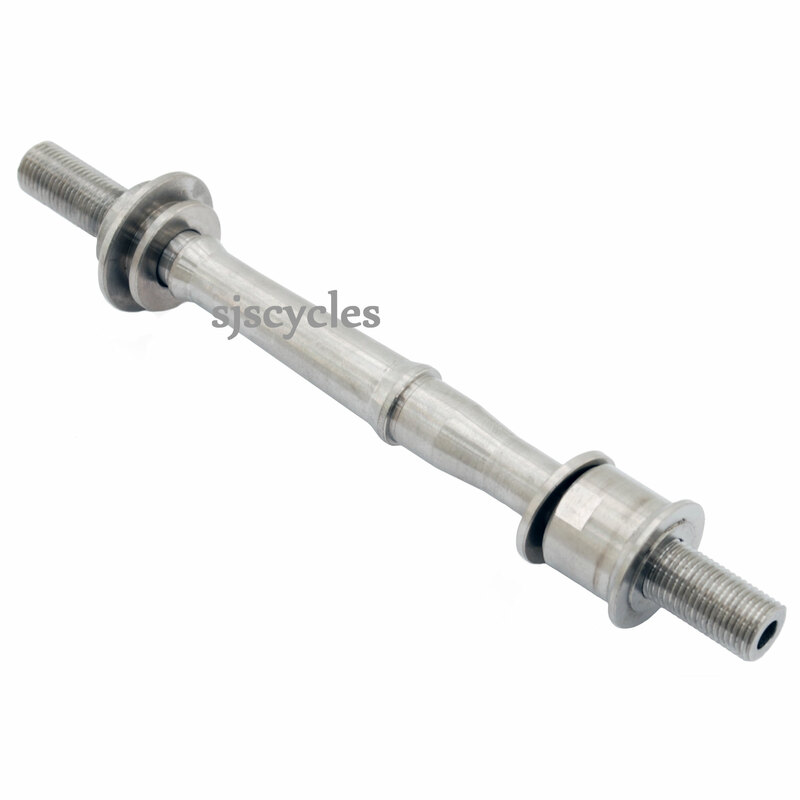 The photograph for the front axles (SJS Cycles part number : 36500) implies that nuts and washers are supplied. Is this not the case with the rear axle?